The Lloyd F. Moss Free Clinic. 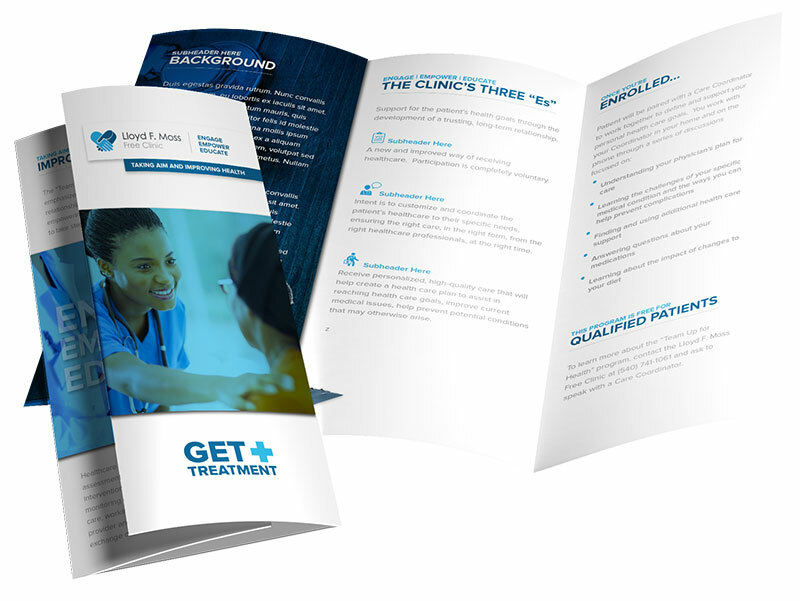 A strategic re-brand campaign (website, logo, business cards, table tents, brochures) created an enduring brand identity for the clinic with the community. Lloyd F. Moss Clinic provides services and medications based on the patient’s income and need, often providing these services at no charge. 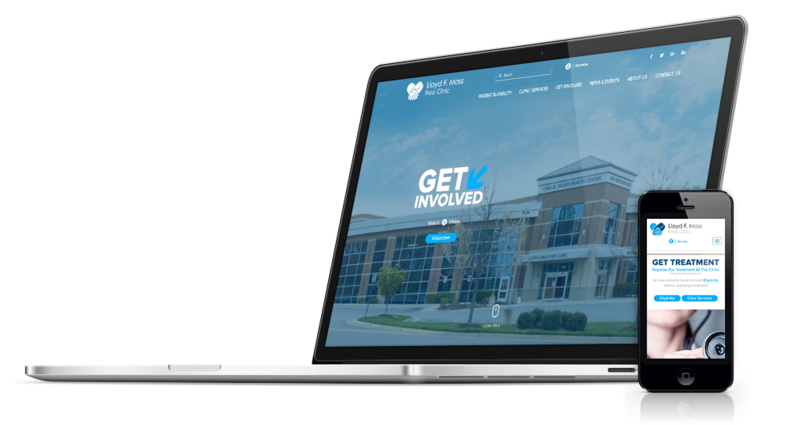 Responsive website made to be user friendly across all devices and platforms. Trifold brochure designed to give a general overview of the company to interested parties. 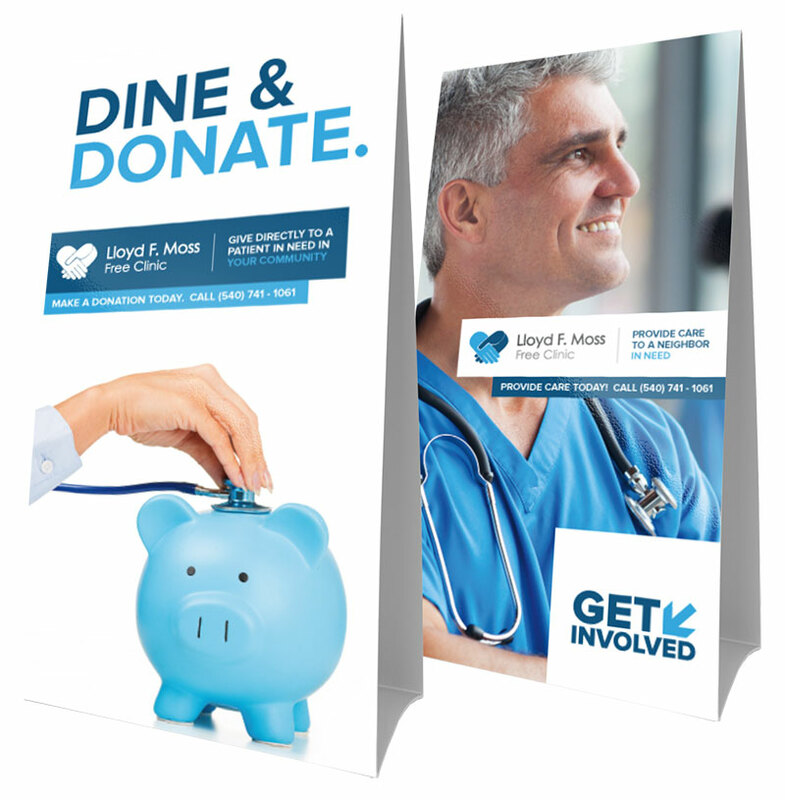 Table tent designed to be a cross promotional item with local restaurants who would donate part of their proceeds to the Lloyd Moss Clinic.